A triangle is a planar closed figure with three sides, i.e, a three sided polygon. The basic elements of a triangle are its three sides and the three angles they form. As a general rule, two objects are called 'similar' if they have the same shape or one is the enlargement of another. Two triangles are called 'similar' if all three of their angles match. However, the sides of these triangles can be different. If the corresponding sides also match, along with the angles, the triangles are called 'congruent'. If two triangles are congruent to each other, they are also similar but the converse is not true. Mathematically, similarity is represented by the symbol "~" . E.g, ABC ~ PQR (read as triangle ABC is similar to triangle PQR). 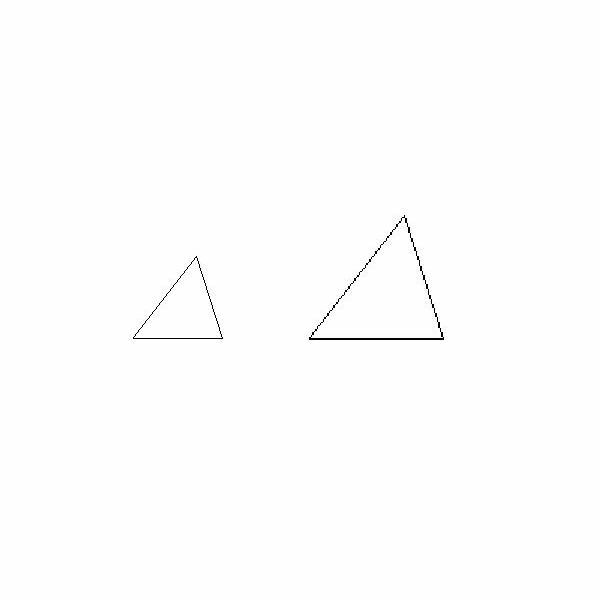 Left Bottom: A pair of similar triangles. 3. If two triangles are similar, they remain similar even after rotation or reflection about any axis as these two operations do not alter the shape of the triangle. Three main approaches are used to prove similarity of two triangles. We will use triangles ABC and PQR in examples in this section. As the sum of the angles of any triangle is a constant, angle C = angle R.
1. 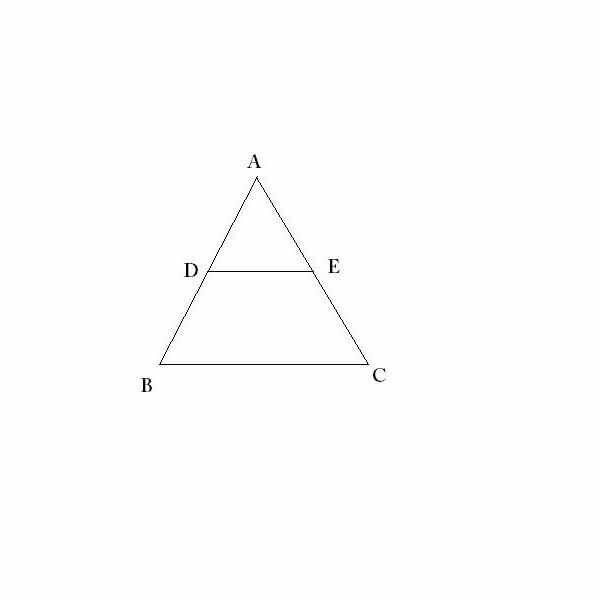 In the figure to the left, D and E are mid-points of AB and AC respectively. Prove that ABC ~ ADE. 2. 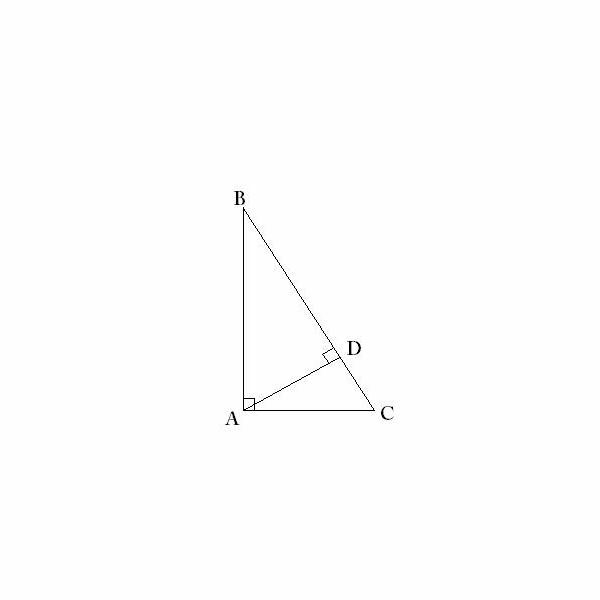 In the figure below (left), BAC is a right angled triangle with a right angle at A. AD is the perpendicular from vertex A to side BC. Prove that ABD ~ CAD. Thus, by AA similarity condition, ABD ~ CAD.